​The New Mexico Career Development Association (NMCDA) serves professional counselors and human development specialists employed in schools, colleges, rehabilitation agencies, corrections, mental health areas, private business, and private industry. The purpose of the NMCDA is to promote a greater understanding of the meaning of work and vocation, to foster career development over the lifespan, to establish and improve the standards of professional service in the field of career guidance in New Mexico, and to enhance communication and cooperation among all career development professionals. Sharon moved to NM almost 5 years ago from southern CA when she joined the Central New Mexico Community College as an Achievement Coach for the School of Math, Science & Engineering. In her current role, Sharon continues to motivate & teach students successful study strategies as well as pursuit of their career/academic goals. Sharon has worked as a Career Center Director and Career counselor for 15 plus years. She has found that career counseling is her favorite area in assisting students. After moving to NM, she wanted to connect with others colleagues of like minds so she joined the NMCDA board as a general member a few years ago. She is Nationally Certified as a Career Counselor & Counselor through NBCC and has been a member of NCDA for at least 15 years. She also serves as a member of the NCDA Awards Committee. She has a M.A. 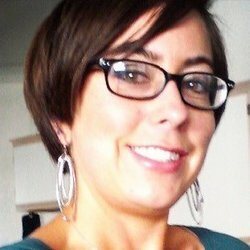 in Family Counseling and an Education Specialist in Counseling & Counselor Education. Sharon’s life calling is to assist students in reaching their goals and to meet each student where they are helping them to move forward towards attainment of their dreams or passions. ​Almost 15 years ago, Autumn happily called Albuquerque, NM, home. Starting at The University of New Mexico as a counseling intern at the Office of Career Services, she discovered the joys of career counseling and love for the UNM community. Autumn developed from an intern to a Career Development Facilitator (CDF) I to a CDF II, and now proudly serves as the Career Counseling Manager at UNM Career Services. She has taught over 1200 UNM students since 2008 in various departments such as Anderson School of Management, University College, and Educational Psychology. She holds a BA in psychology from The University of Michigan, an MA in secondary education from Pepperdine University, and a Master of Arts in Counseling from NM Highlands University. 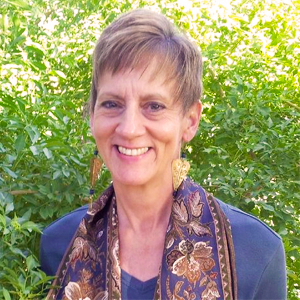 She is a licensed mental health counselor in the state of New Mexico specializing in career counseling and is currently pursuing a PhD in Educational Psychology. Autumn believes the privilege of leadership is the act of serving others, providing support to team members through creativity and collaboration. As NMCDA president (2017-2018), Autumn hopes to continue to collaborate with career development professionals throughout the state (and the nation), in the hopes of finding deeper satisfaction in their life and work pursuits, cultivating a healthy career culture for all New Mexico residents. Charles manages an economic consulting company in Albuquerque, NM and is a charter member of the New Mexico Career Development Association. He has served on the NCDA Board of Trustees. Over 18 years of career management experience in higher education, corporate career centers and in the outplacement industry. Skilled in working with clients to define their career objectives and execute effective job searches. Develop and facilitate multiple career programs and events. Heather Ver Brugge is a Career Development Facilitator I at the Office of Career Services where she works with a dynamic, creative team of career professionals. She has had the privilege of serving in this role since August 2012. Before coming to UNM, she worked at Highland High School where she discovered her passion for working with young adults as they embark on their college careers and begin to explore their future career options. Heather has a Bachelor’s degree in Psychology from UNM, and is currently working on her Master’s degree in Counseling. Heather is the Career Services liaison to the College of Arts & Sciences, including Health Sciences, and to the Veterans Resource Center. She also is the campus coordinator for the Workforce Recruitment Program (WRP), a federal program that helps students with disabilities connect with public and private sector employers. Heather’s interests include travelling, preferably to warm sunny beaches, Broadway musicals, dark comedies, and furry animals.